Effervescence was imagined as a community of beings. 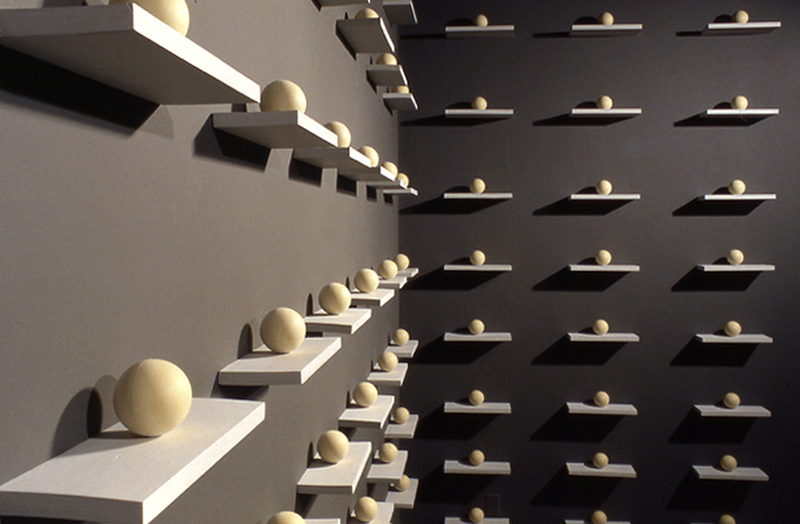 Each ball on a shelf represents one organism lovingly and individually presented on its own floating universe. Together, these presences are indistinguishable from the next.